The Trump administration named Venezuela’s vice-president an international drug trafficker on Monday and imposed sanctions on the controversial politician, who has also been linked to Middle Eastern terrorism. 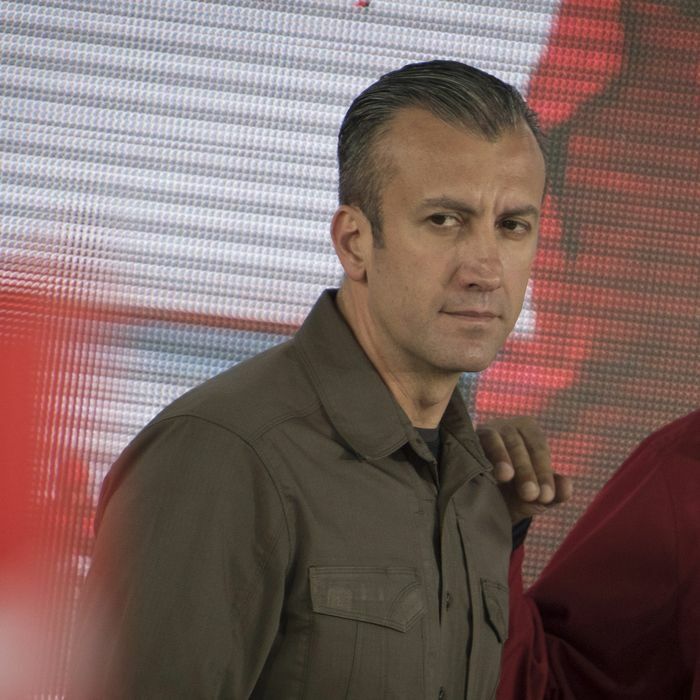 Tareck El Aissami, who was appointed vice-president in early January, was the subject of a years-long investigation under the Kingpin Act and is accused of facilitating shipments of drugs into the U.S. and Mexico. He is also accused of protecting other Venezuelan drug traffickers, working with the brutal Mexican cartel Los Zetas, and teaming up with Colombian drug lord Daniel Barrera Barrera, also known as El Loco. Prior to his appointment to the vice-presidency, El Aissami was the governor of the state of Aragua and before that he served as Venezuela’s minister of interior and justice. In those roles, the Treasury Department says, he worked with drug lords to move product around the world. The 42-year-old is reportedly not well liked in Venezuela, a nation suffering so badly economically that people have resorted to eating flamingos. In fact, his unpopularity is why he was made veep, according to one report, which suggests that President Nicolás Maduro is trying to dissuade opponents from recalling him by ensuring that he’d be replaced by someone they hate even more.